The Rawlings Softball Fielder's Mask features a lightweight wire design with a wire configuration that increases visibility for fielders. It can be shaped for a custom fit and provides split strap head hardness that is designed for softball use only. Fits ages 11 and under. 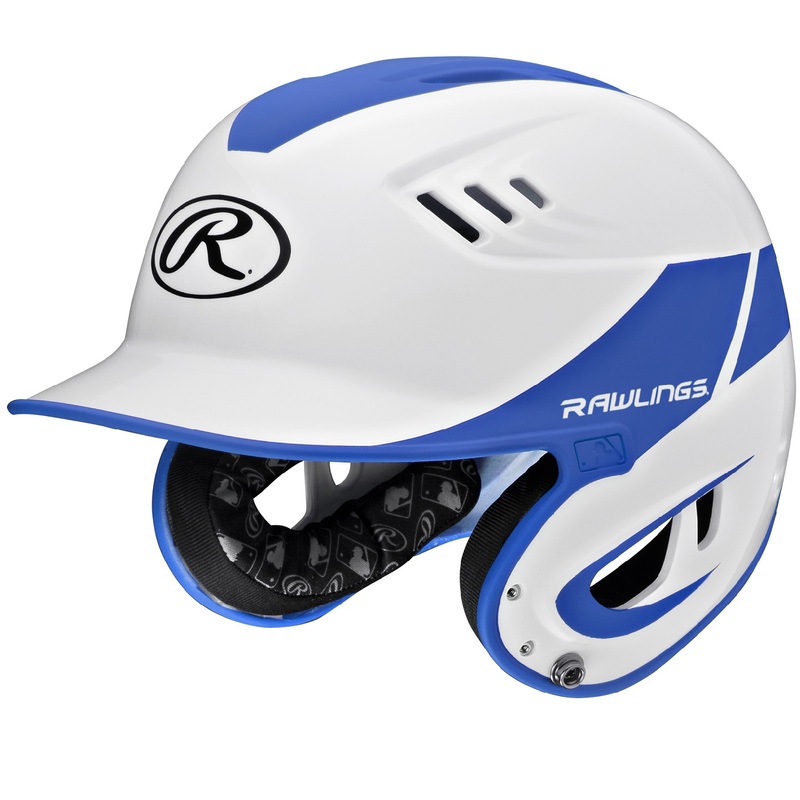 With its eye-catching finish and ultra-cushioned fit, the Rawlings Velo Series Senior 2-Tone Home Batting Helmet excellently blends style and comfort. The Velo Series is constructed with 16 individual vents for optimal air flow and circulation, allowing its wearer to stay cool and dry. Features wrapped jawpads for improved comfort and meets NOCSAE standards. The Velo Series Senior 2-Tone Home Batting Helmet is great for the youth athlete that wants to flash some personality at the plate. Senior sizing: 6 7/8" - 7 5/8". 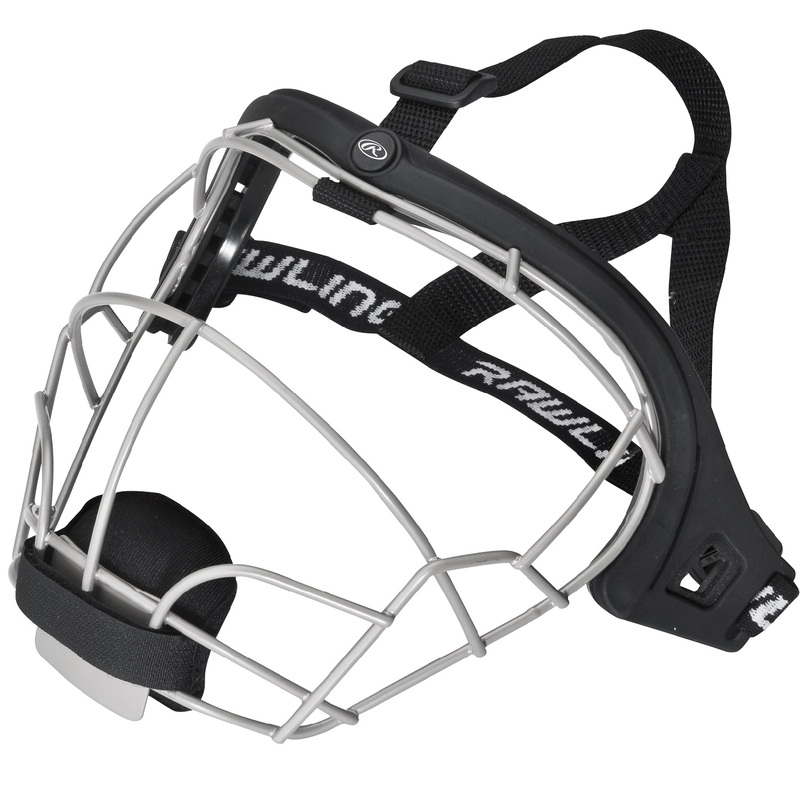 The Rawlings Softball Fielder's Mask features a lightweight wire design with a wire configuration that increases visibility for fielders. It can be shaped for a custom fit and provides split strap head hardness that is designed for softball use only. Fits ages 12 and up. Simply a must-have for every basketball coach. 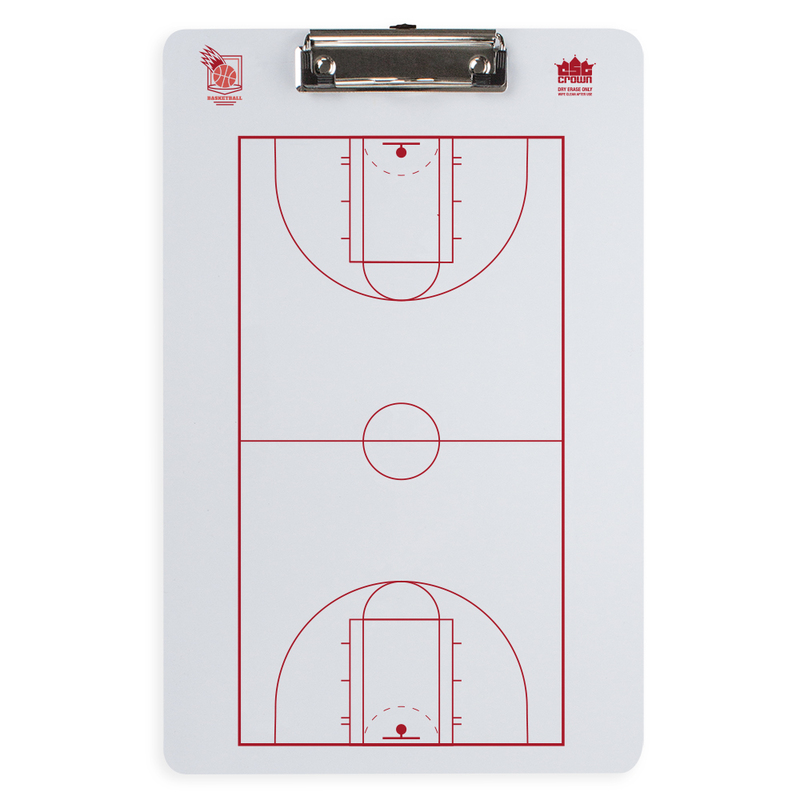 Slick, smooth and completely erasable, our 14" x 9" clipboards are emblazoned with a full-court diagram using a special process that won't scratch or rub off through normal use like other boards. Make those crucial time-outs count: create and erase plays on the fly, help players visualize their position and routes on the field. For basketball parents, it's a great way to explain and reinforce the fundamentals with your child. 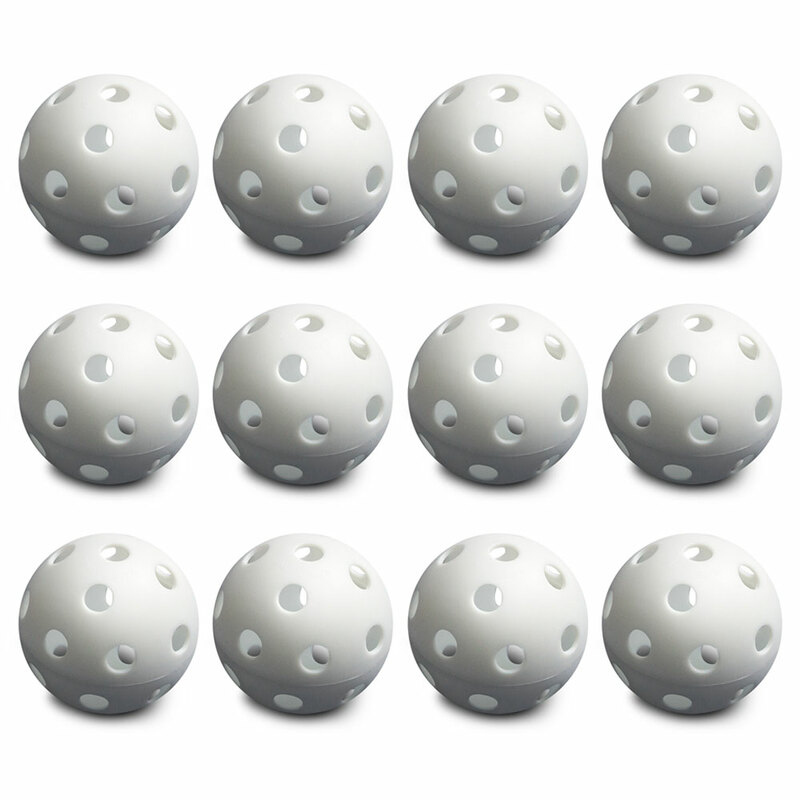 Our set of 12 white polyurethane baseballs is perfect for practicing your game- inside or out. 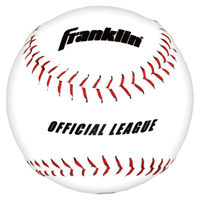 Made at regulation size of 7 cm or 2.75 inch diameter, these baseballs won't split or crack. The uniform holes help ensure maximum accuracy. Ideal for training exercises, including use in patching machines for close-range batting practice, these balls are lightweight and hollow. 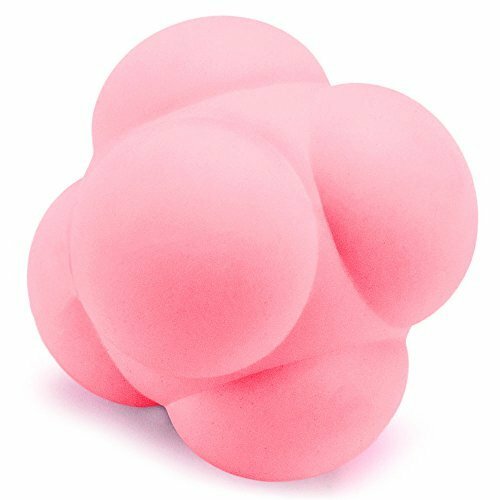 Perfect for sports teams or home use, each ball is smooth and round. The balls are a great way to perfect your swing with any baseball bat. 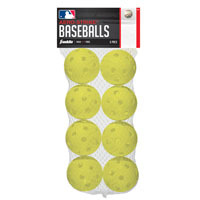 Whether you are practicing on the diamond or in the backyard, this set if 12 polyurethane baseballs by Crown Sporting Goods is a must-have accessory. 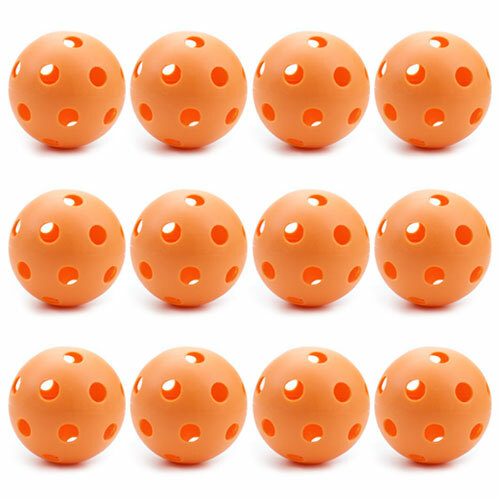 Our set of 12 orange polyurethane baseballs is perfect for practicing your game- inside or out. 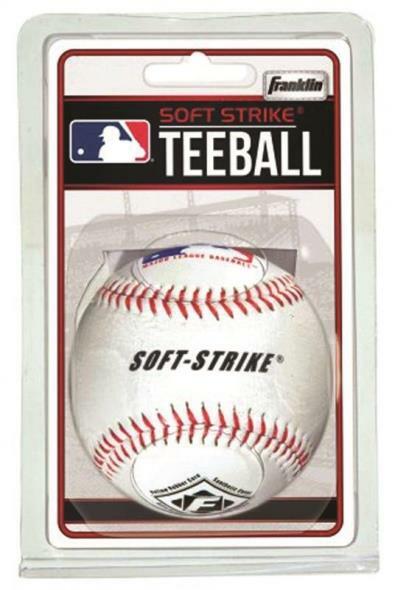 Made at regulation size of 7 cm or 2.75 inch diameter, these baseballs won't split or crack. The uniform holes help ensure maximum accuracy. 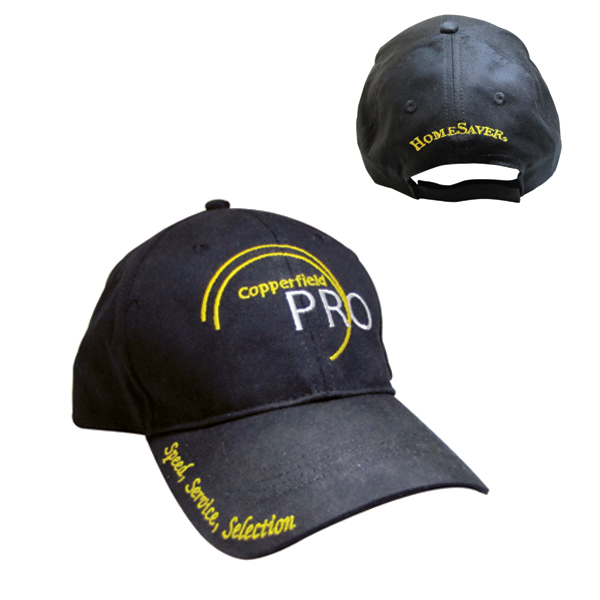 Wear this handsome, all cotton HomeSaver baseball cap with pride. One size fits most. Ted Williams, one of baseball's greatest hitters of all-time, famously said "I think without question the hardest single thing to do in sports is to hit a baseball." The most gifted major leaguers miss 66% of the time. For kids just learning the game, the odds seem pretty stacked. Luckily for budding tee-ballers and little leaguers alike, Crown Sporting Goods has just the thing to help them out. Practice with a batting tee helps develop fluid, consistent swing mechanics and effective body positioning, and is key for beginning players to master. Unlike other tees, our batting tee is made from durable, flexible, and heavyweight rubber, which means that when your little leaguer hits the tee, it won't fall over, and it definitely won't shatter and break. Best of all, the flexible rubber construction absorbs impact, so any contact with the bat and tee will be gentle on young hands and wrists. 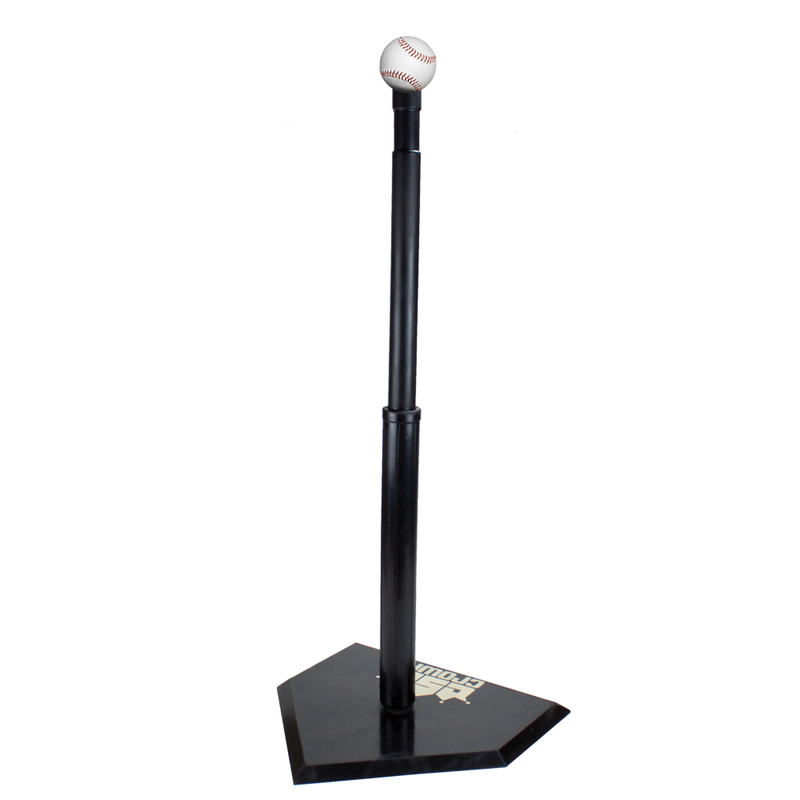 Adjustable from 24" tall all the way up to 38" with a simple slide of the tee, this is a piece of equipment that you buy once and watch it grow with its player. Or, if you coach a team, or several teams, it's a one-size-fits-all time and money saver. The tough rubber suits all seasons and braves even windy and rainy conditions, and both assembly and clean-up are quick and simple. A Classic Pastime in One Box! Remember the old sandlot? Running and sliding on the bases in the warm summer sun with your team, waiting to step up to the tee to slug a ball into the outfield? 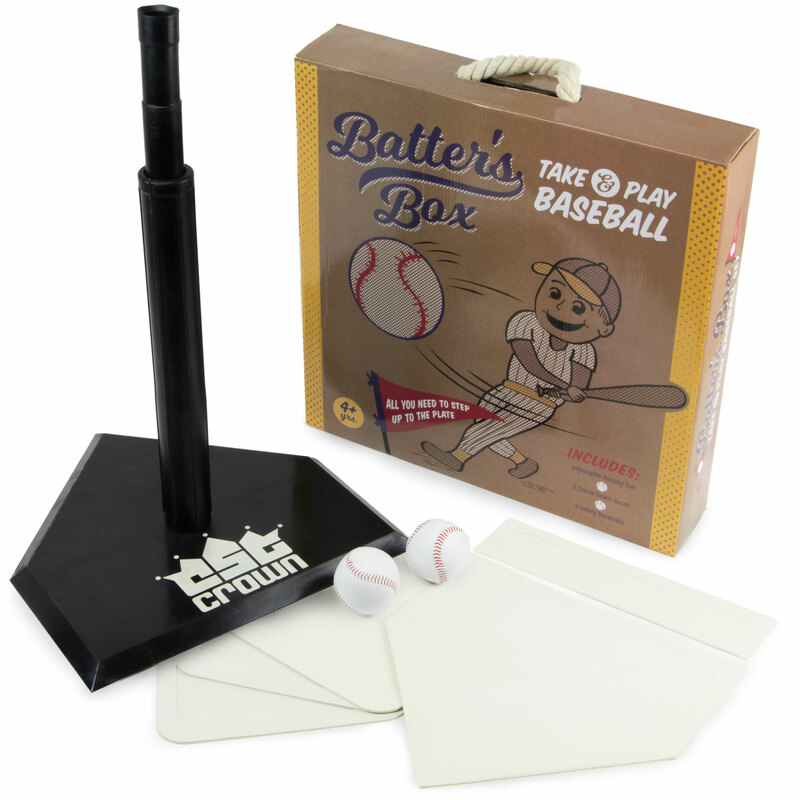 Show your children why baseball is known as AmericaG++s Pastime with the Batter's Box! Just unpack the box, set up the adjustable batting tee, and throw down the bases. Portable and easy to carry, the Batter's Box is perfect for gym classes, neighborhood games with friends, or practicing in the backyard with family. Teach Fundamentals, swing mechanics, and basic baseball concepts. All you need is some open space, be it grass, dirt, or asphalt. And don't forget the bat! The Batter's Box takes everything a young baseball player needs and jams into one convenient storage box. Give your child a head start to help them go from the Pee-Wee Leagues to the Pros. After a game at the park, take it home, wash the bases and batting tee to keep this set in pristine condition. Watch as your little leaguers go from making contact on the ball to slugging it to the outfield! Brooklyn Smasher, 34.00 in. Brooklyn Smasher, 34.00 in. Bat made from injection molded heavy duty, black polypropylene with a length of 34 in. and a weight of 39 oz. Weights 2 lbs. 7 oz. Affordable and Tuff Cloth durable, our multi-purpose duffel makes a great team bag. And, conveniently sized for a weekend trip, it's ideal for travelers and hikers as well. Oxford-woven 600D threads on the outside, wear and tear and wetness-resistant heavy vinyl on the inside, this duffel was built to last through all kinds of conditions. Low on room? 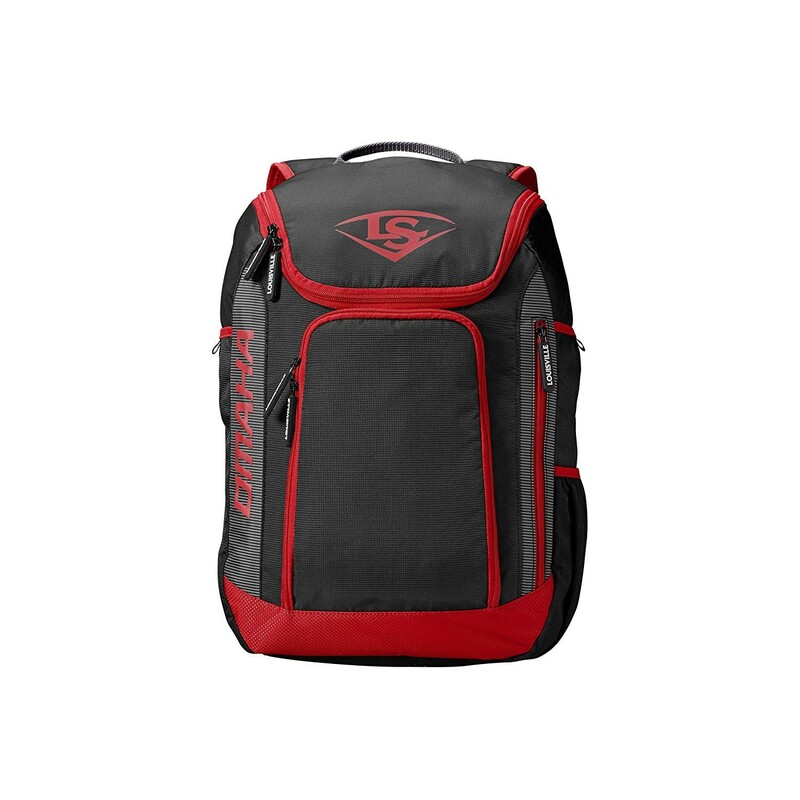 The spacious interior pocket is just 16" long but packs over 1,700 cubic inches of capacity. 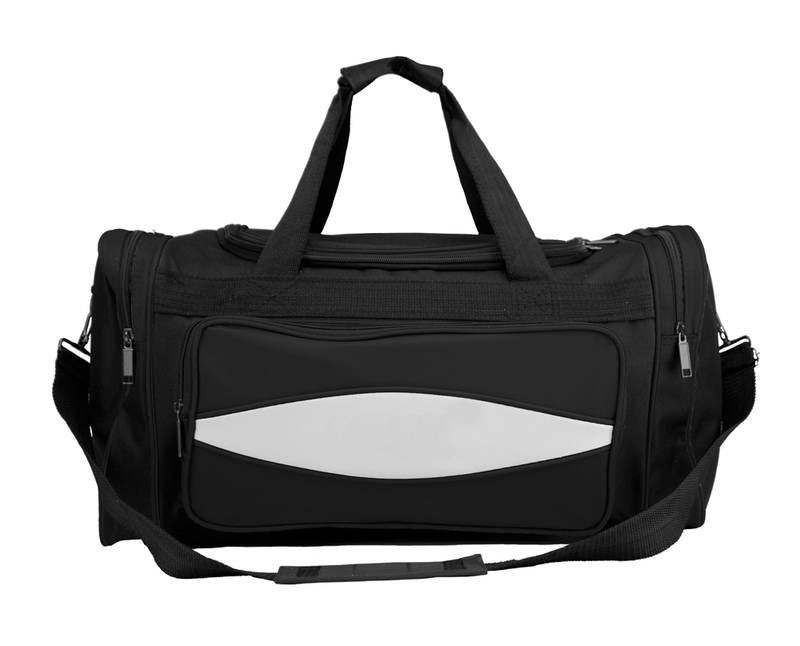 But, fill the dual side pockets and front panel, and this duffel expands to approximately 20" long, 12" tall, and 12" wide. 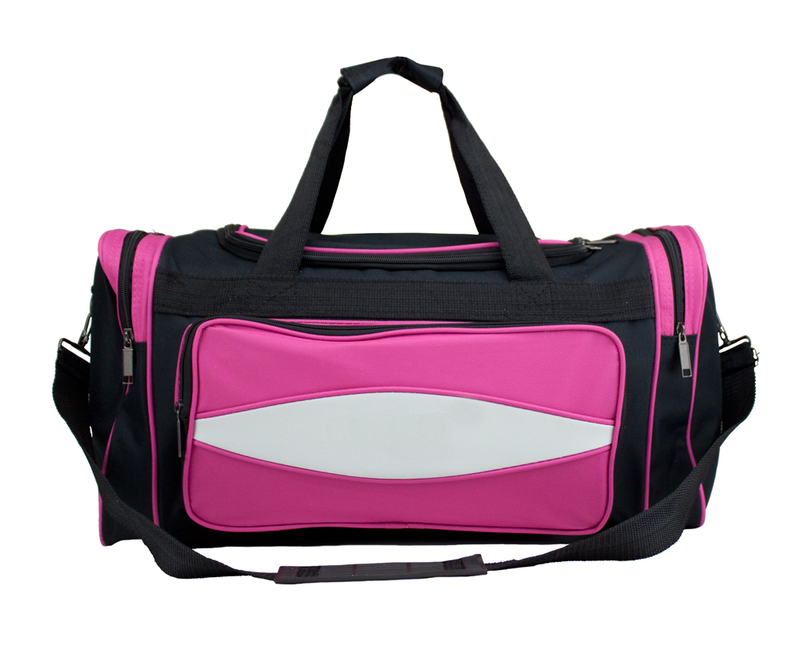 Included with the duffel is a removable and fully adjustable shoulder strap and comfort pad. For extra convenience, the side pockets are fitted with metal loops that allow the duffel to be hung vertically in narrow spaces. Actual Dimensions: 20" x 12" x 12"
The Louisville Slugger Omaha Series (-10) 2 5/8" Bat meets the USA Baseball youth standard. This bat is constructed of one piece 7-series alloy that delivers a huge sweet spot. The Omaha features a durable end cap design and a durable synthetic leather fade grip. Cold Steel Brooklyn Crusher 29 in. 33 oz. Cold Steel Brooklyn Crusher 29 in. 33 oz. Weights 2 lbs. 2 oz. 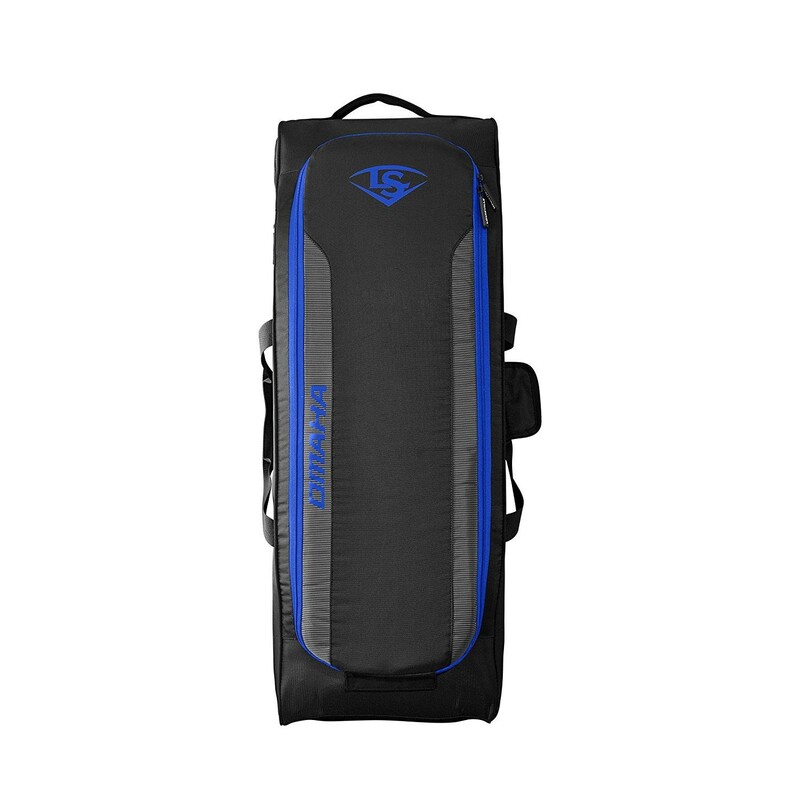 The Voodoo Rebirth Baseball Backpack takes it to another level with molded barrel lock neoprene bat sleeves to hold up to 2 bats, and an area for customization. 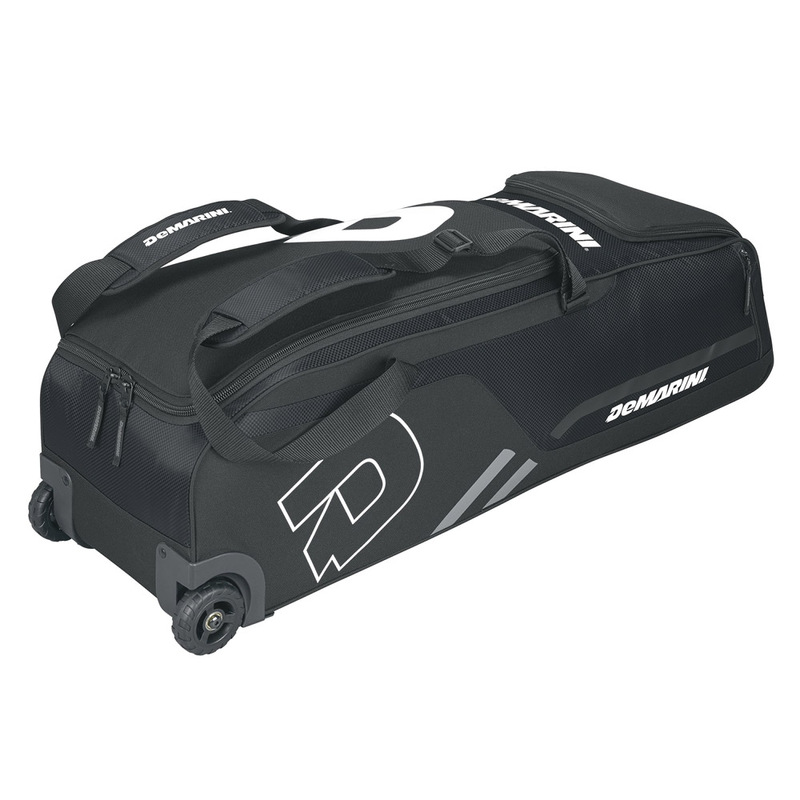 Its large main compartment is big enough to fit a helmet, glove, and cleats along with any extra equipment or personal items. Also featured is a fleece lined cell phone pocket and a vented shoe compartment. Supercharge your reflexes, and have fun doing it! There's great value to be found in drilling, repeating the same motions from the same angles time after time until the movement is mechanical. But there's just as much value breaking up the monotony with a little unpredictability. Enter the Reaction Ball from Crown Sporting Goods, a fresh, fun way to supercharge your reflexes and agility, hasten your hands, and tighten up your footwork. Its unique knobbed shape creates truly random bounces, pops, and leaps and forces you to react solely on instinct. Training with a reflex ball shaves crucial seconds off your reaction times, enhances visual tracking, and supercharges hand-eye coordination. Valuable training for a wide variety of sports including baseball, softball, lacrosse, and tennis, the reflex ball made of solid, durable, high-density rubber, which produces superlative bounce and carom on just about any hard surface. Play on wood and clay courts, asphalt and concrete, even the packed dirt and manicured grass of the baseball diamond. Play solo against a wall or rebounder, drill with a coach, or practice in a team. This versatile and fun training tool is sure to become a fast favorite. 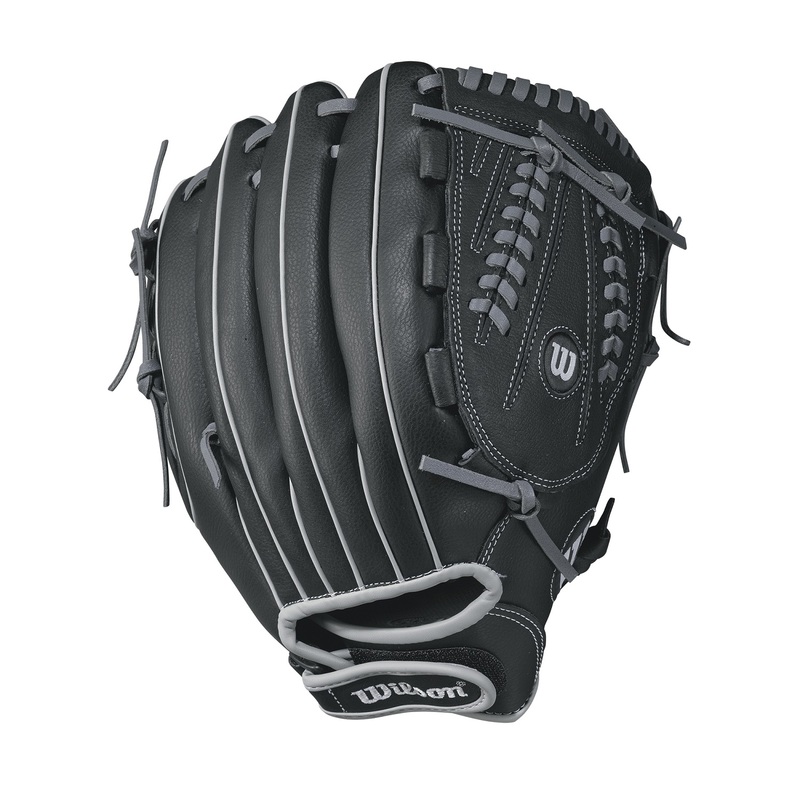 The A360 13" Slowpitch Glove is one of the most versatile gloves in the Wilson slowpitch series. With its 13" length and closed V-Lace web, this glove gives you the ability to play all over the field. Comes with a Velcro wrist strap to help you adjust its tightness to the right setting and is constructed with a genuine leather palm. NEW FOR 2015! The Brooklyn Whopper is the biggest bat we've ever made. 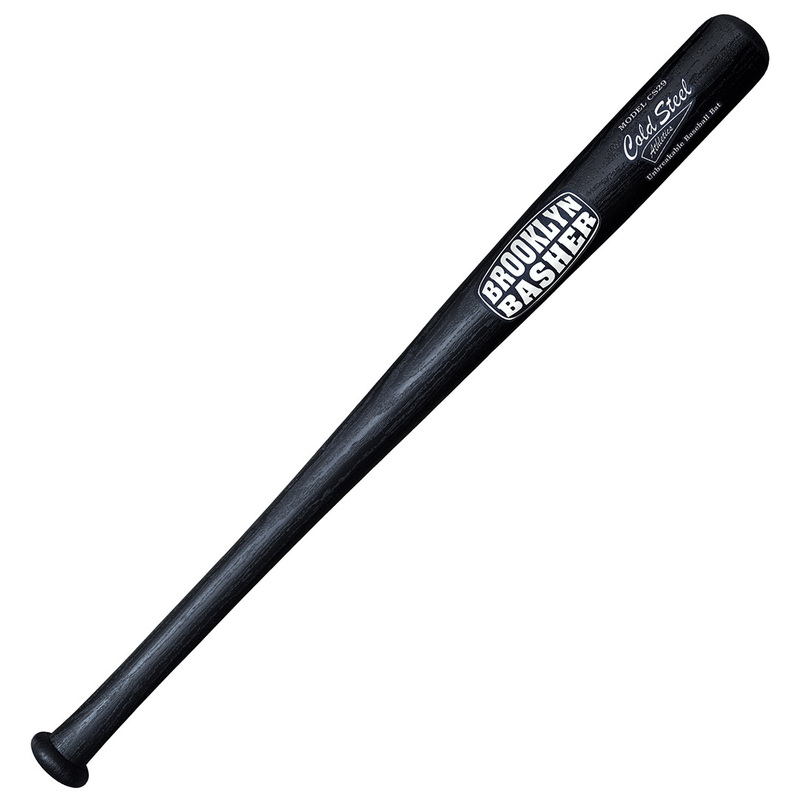 At 38 inches, the Whopper is the maximum allowable sized bat for Major League Baseball, and weighing in at just over 48 oz it's a certified monster! This massive, king-sized Baseball Bat is perfect for strength and conditioning training, swing practice and warm ups - and when it's time to hit something, well, you are sure to knock it out of the park! Tip Thickness: 2 1/2 inch This item usually ships within 2-4 weeks. 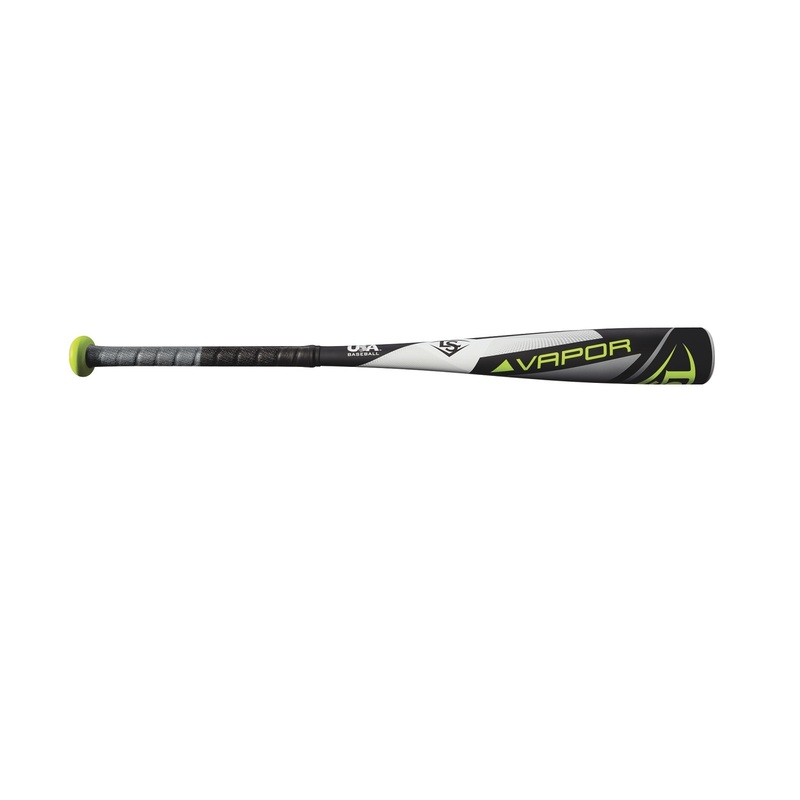 The Louisville Slugger Vapor (-9) 2 5/8" Bat meets the USA Baseball youth standard. 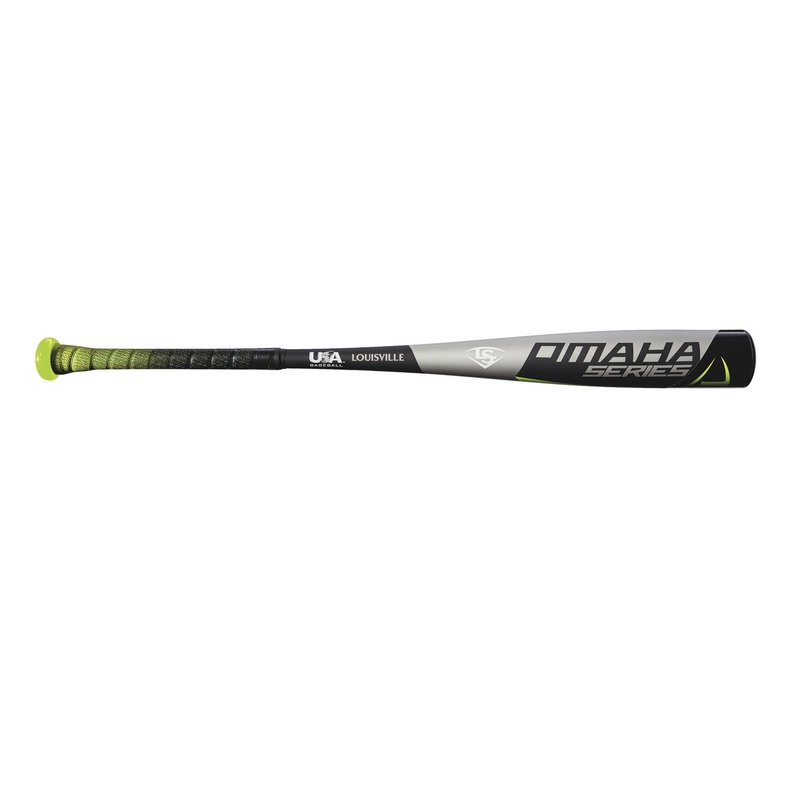 This bat is constructed of one piece 7-series alloy that delivers a huge sweet spot. The Vapor features a durable synthetic leather fade grip and a 7/8" standard handle. 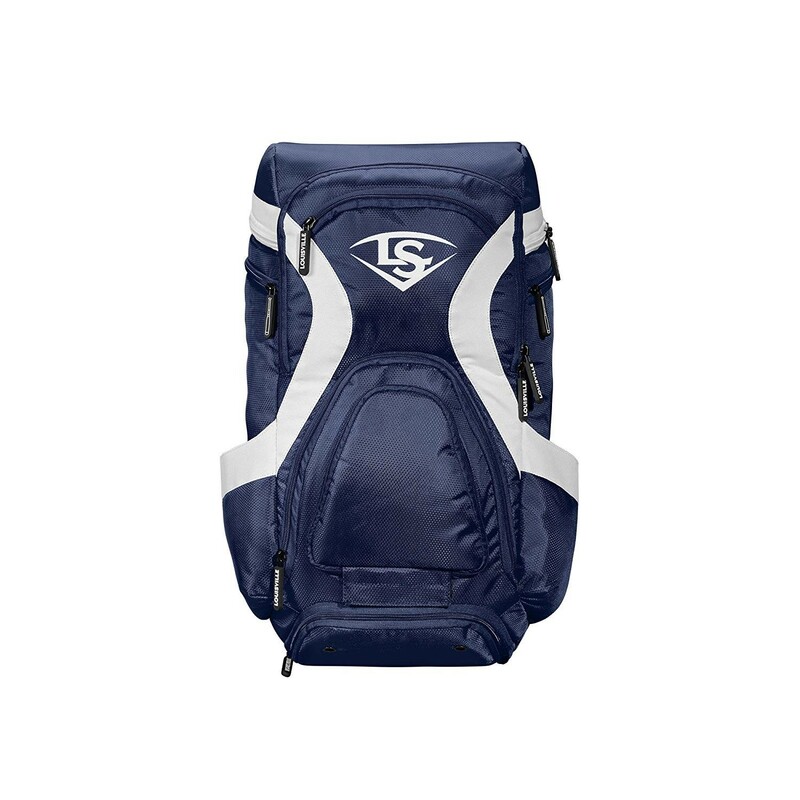 The Louisville Slugger Omaha Rig Wheeled Baseball Bag features a main compartment that fits a helmet, glove and gear. Zippered bat compartment that hold up to 4 bats. 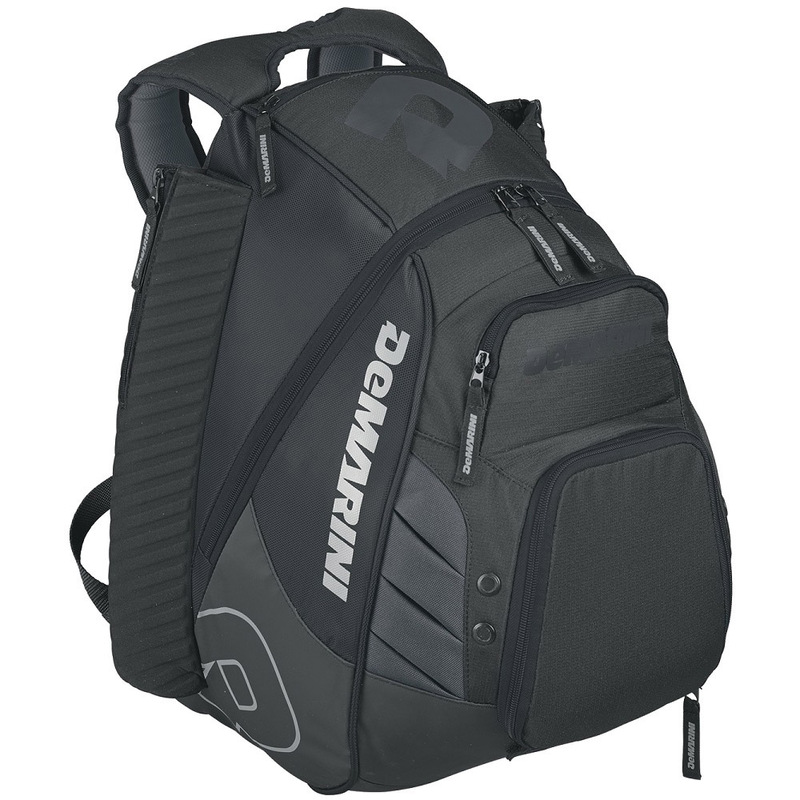 The Omaha Rig also features two interior shelves to help with gear weight balance throughout the bag. Other fetaures include; outside valuables pocket, interior L Bracket to help prevent blowouts, inline wheels and 2 integrated fence hooks.